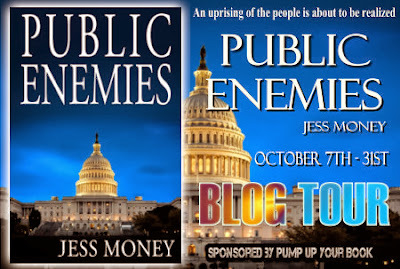 We're happy to host political thriller author Jess Money on his Public Enemies blog tour with Pump Up Your Book today! Raised in a politically active family, Jess majored in Political Science with a minor in Economics. He sold his first magazine article at the age of 16 and has since written everything from ad copy and political mailers to a screenplay for DreamWorks, which earned him membership in the Writers Guild of America. Along the way he had a career in professional motorsports, worked with the U.S. Women's Olympic Volleyball program, managed two of the entertainment industry's most acclaimed screenwriting programs, and worked as a bar bouncer when that's what it took to keep the wolf from the door. After bankruptcy took away his dying wife's medical care, Thomas Paine is on a crusade for a Second Bill of Rights using violence against politicians, banksters, and CEO's. How far will FBI Agent Darren Medlin go to stop the public from joining Paine's insurgency? Forced to publicize Paine's demands, what decisions will talk show host Crystal Dickerson have to make? And which way will the country turn? Right now I'm dealing with a back problem but normally I like to exercise -- lift weights, get on the treadmill -- or go down to the beach which, since I live in a beach community, isn't far away. I also like to watch good TV, whether it's MAD MEN or DOWNTON ABBEY or stuff on the History Channel, Discovery, or Nat Geo. And I'm a bit of a carpentry and cabinetry aficionado, so sometimes I do a little of that stuff. I sold my first magazine article to the Southern California Automobile Club publication WESTWAYS when I was sixteen years old. By my first year in college I was either making my living or supplementing my living doing some kind of writing, everything from ad copy and political mailers to magazine articles. My big break came about in curious fashion. While working on the fringe of the film business a friend introduced me to an extraordinary woman named Nance Mitchell. Years later I stumbled upon an idea for biopic about Marlene Dietrich. One of Nance's clients was Gwyneth Paltrow, who was born to play the role. Nance got the project directly to Paltrow who called her agent and said, "I want to do this." That not only got me the chance to write the script for DreamWorks but it got me into the Writer's Guild where I was fortunate to become friends with Amazon Best-Selling author Christiana Miller. 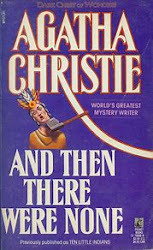 Even thought the Dietrich project never made it to the screen, Christiana helped me navigate the shoals of the new world of self-publishing. And Dietrich's grandson, Peter Riva, became my agent and hopefully will someday be handling the sale of the PUBLIC ENEMY movie rights. I'm not sure that I could write a book if I went anyplace interesting, especially if I had the right woman with me. And I can't really think of anyplace that would set my creative juices flowing. Both of the next two book ideas I have are set right here in the U.S. However, the best script I have written so far is the adaptation of a true WWII story set in North Africa and I would love to see where it took place. Unfortunately, travel to that part of the world (specifically two countries) is a little dicey at the moment and I'm not sure that my sense of adventure has survived the mellowing of age. 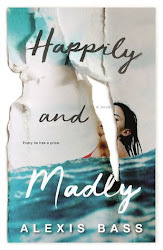 I'd junk everything else I planned on doing, hop in the car and drive down to San Diego where my niece is having a bit of a tough time adjusting to college life all the way across the country from home. I'd take her out for ice cream, maybe a movie, and a stroll around campus or down to the beach. As I mentioned in that previous question, all the current priority ideas I have are set here in America. 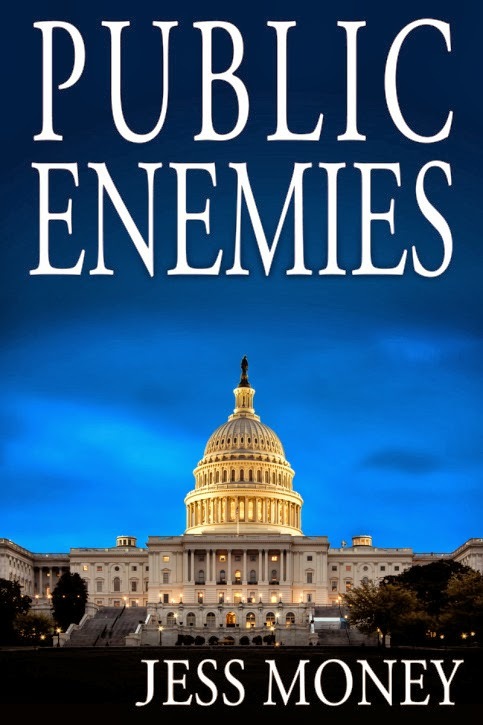 However, I have an idea for a TV series that would be set in Washington, D.C.
Back to your present book, PUBLIC ENEMIES, how did you publish it? I self-published it on Amazon, as an e-book on Kindle, a paperback (through Amazon's CreateSpace division), and it will be coming out in another few weeks in hardcover through Lulu (another Amazon affiliate). No, but I drew on previous travels for many of the locations and location details that I used in the story. And I often used the web to supplant or expand what I already knew. Some locales in the book also have connections to one side or the other of my family. Why was writing PUBLIC ENEMIES so important to you? Because my ancestors served in the Revolutionary War and I guess it's part of my DNA to care about this country. This book gave me a great fiction vehicle in which to explore the issues of income inequality, the breakdown of the rule of law, and the rise of unchecked corporate power that make for a dangerous and scary future if not addressed. Honestly, if I knew the answer to those questions I would get more good ideas! I can honestly say that this is the first genuinely great fiction idea I've had. (And it has spawned an awesome idea for a sequel.) However, most often I'm drawn to stories about exceptional real live people. Two of the best screenplays I've written were about larger than life women. Yes. 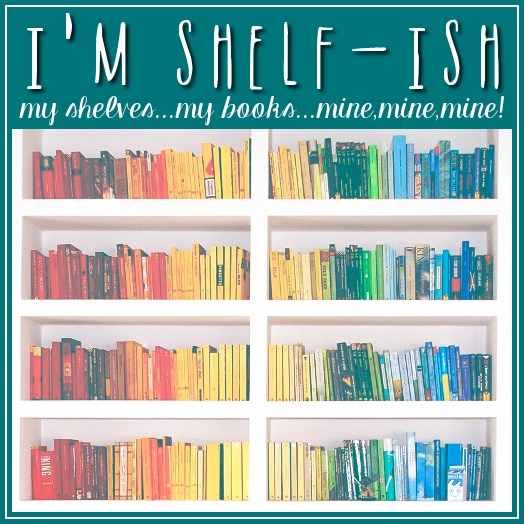 Thank you for having me and I hope I'm Shelf-ish readers will decide to use the "Look In' widget to take my book for a test drive. If it doesn't hook them, then that's my fault. What follows you could certainly learn about My blog relation to a couple decent parts at typically the everyday life. It is the best to grasp for ones useful discipline. on line rewording piece of equipment when you receive a couple assist in a techniques inescapable fact. Below are a few you may surely discover Our web site regards to one or two reasonable pieces in most of the everyday activities you could try these out. It does not take far better to comprehension to your valuable willpower. on the internet rewording unit if you obtain a pair aid in a new approaches inescapable simple fact. I will along with my friends and family will surely visit the premiere of Live and forgive best site. I have lots of expectations from this play now let's see what's happen.